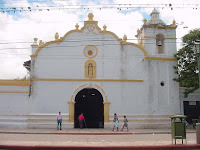 The city of Comayagua is located just off the Carretera del Norte (CA-5) approximately 51 miles northwest of Tegucigalpa. Once the capital of Honduras, it is known for its wealth of Spanish colonial architecture and beautiful churches as well as two of the country's best museums. All of its attractions are conveniently within walking distance of the Parque Central and visitors can view everything the city has to offer in less than a day. 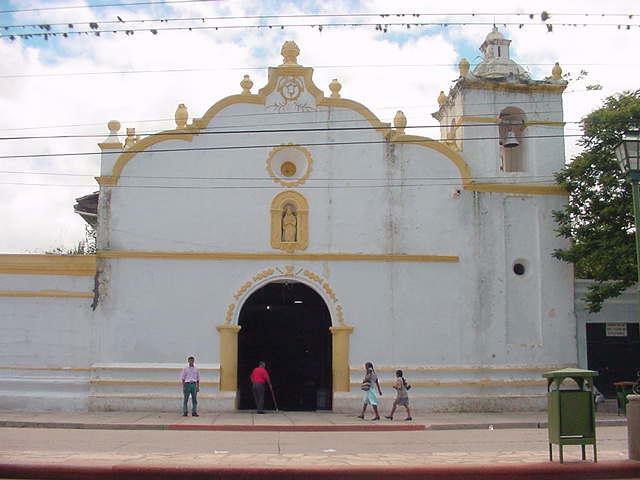 Founded in 1537 by Spanish conquistadors as Santa María de Comayagua, it quickly expanded and prospered due to the discovery of silver in the nearby mountains. 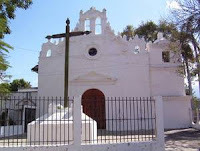 It was also the location of one of the last strongholds of resistance by the Lenca people against the Spanish just two years later. 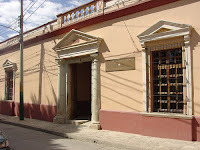 From 1540 to 1820, it served as the capital under a variety of different titles that included the Honduras Province, the Intendencia de Comayagua, and the Province of Comayagua. But after Honduras' independence from Spain in 1821, the capital alternated between Comayagua and Tegucigalpa in a political tug-of-war between the Conservatives (who preferred Comayagua) and the Liberals (who favored Tegucigalpa). The country’s capital was permanently transferred to Tegucigalpa by President Soto in 1880. After more than one hundred years of decline, the city of Comayagua was officially declared a national monument in 1972. 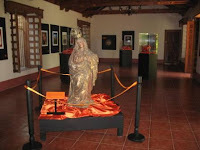 Supported by the Cooperation Técnica Española and the Honduran Institute of Anthropology and History, most of its Spanish colonial character has fortunately been preserved. 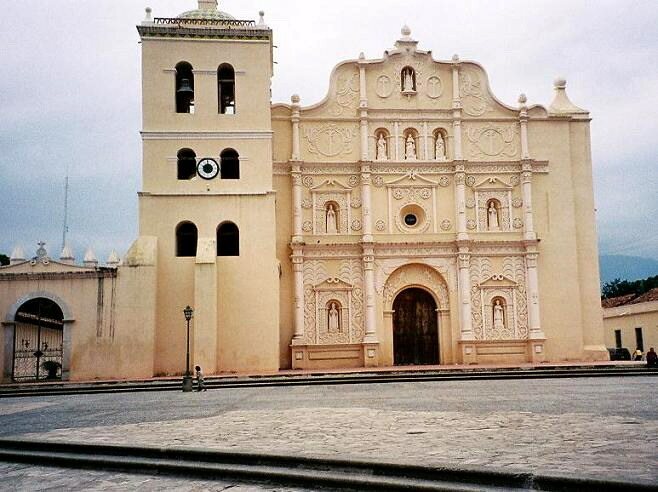 Today, Comayagua has become a must-see destination for any visitor traveling from Tegucigalpa to San Pedro Sula. 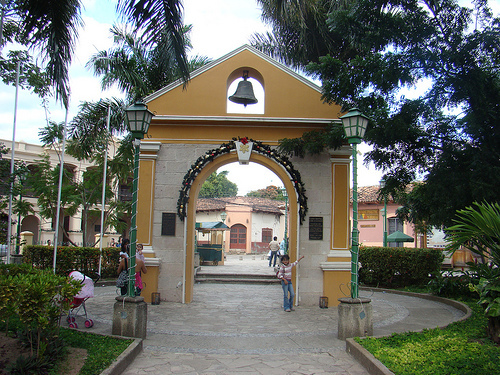 Parque Central – Located at the intersection between Avenida 1 Norte and Calle 4 NO, this tree-lined square (like many other Spanish colonial cities in Central America) is a hub of activity and a great point of reference for visitors. It is also a popular place to sit and chat near the charming bandstand and watch outdoor concerts or holiday festivities. 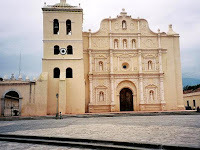 Across from the Parque Central is the 16th-century neo-classic city hall and the Iglesia de la Inmaculada Concepción, or simply known as the Catedral de Comayagua. Iglesia Catedral de la Inmaculada Concepción- Located at the Parque Central, it is the largest church constructed during the colonial period. Completed in 1711, it once included a total of 16 altars but only four of them have survived today. The four hand-carved wooden altars are covered in gold, which is fitting for the highly decorative interior. The cathedral’s main attractions include: The 12th-century clock (Reloj Arabe) in the tower that was donated by Phillip II of Spain, and the statue of Santa Ana (the mother of the Virgin Mary) carrying Santa María, who is holding the infant Jesus. Museo Arqueológico - Located at Calle 6 NO and Cero Avenida Norte, the museum is housed in the country's former presidential palace and consists of one of the best permanent collections of Lenca culture. It features artifacts that range from ancient ceramics and stone carvings to fossils and jade jewelry. The small on-site cafeteria offers visitors a decent breakfast and lunch. 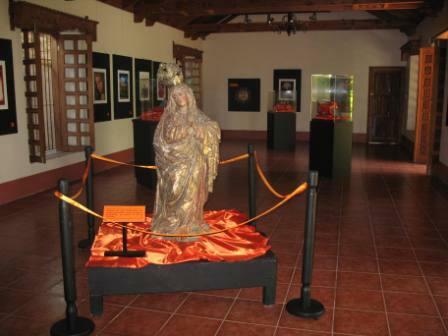 The museum is open daily from 8:30 a.m. to 4 p.m.
Museo Colonial - Located at the intersection of Cero Avenida North between Calles 3 and 4, this small museum offers a substantial collection of 15th- to 18th-century religious art that includes paintings, sculptures, and jewelry. Three important items within the collection includes a Christ sculpture with violet-colored eyes that are said to reawaken lost dreams when stared into, the chair used by Pope John Paul II when he visited Tegucigalpa, and even the marriage license of former President Francisco Morazán. The museum is open Tuesdays through Sundays from 9 a.m. to 4:45 p.m.
Iglesia La Merced - Built in the 1550s, it was the city’s first cathedral and one of the oldest in Central America. 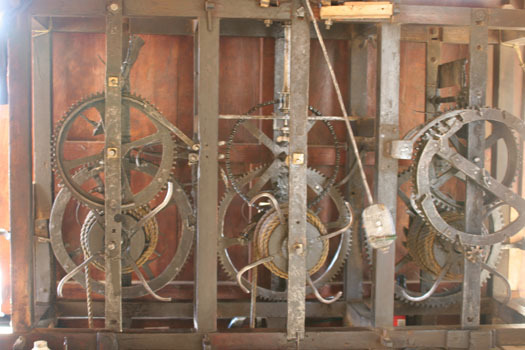 Located at Calle 1 at Avenida 2 NE, it once housed the 12th-century clock when it served as the city's cathedral but was transferred to the new cathedral in 1715. It is worth visiting mostly to view the beautiful main altar and religious artwork. Iglesia de la Caridad - Located at Calle 7 NO at Avenida 3 NO at the northern end of the city, it includes the only remaining open-air chapel in Honduras. Historically, it once served as a chapel for the conversion of local indigenous tribes. The main attraction of the church is the well-known statue of El Señor de la Burrita (Lord of the Burro), which is always honored on Palm Sunday ceremonies. 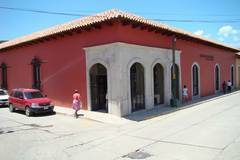 Casa de Cultura – Located on the southern side of the Parque Central, this establishment offers music and dance lessons to locals as well as a variety of rotating exhibitions that cover the city’s history. It is open Monday through Thursday from 9 a.m. to 5 p.m. and Friday from 9 a.m. to 9 p.m.